It’s high time tgis Nass guy moved to Nigeria and become one of us. 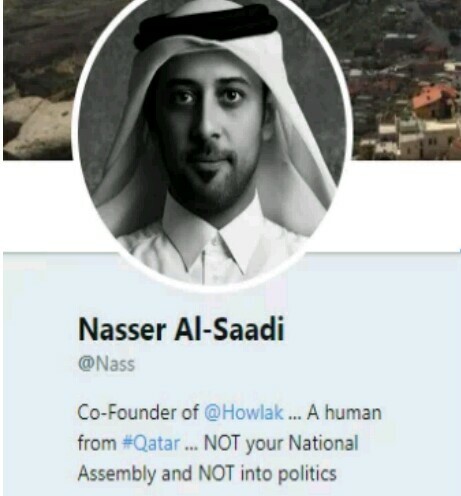 Naseer Al-Saadi, with the Twitter handle @NASS, has become quite popular amongst Nigerians because most Nigerians mistakenly tweet at him while trying to tweet at the National Assembly, NASS, and he replies with the most hilarious tweets. 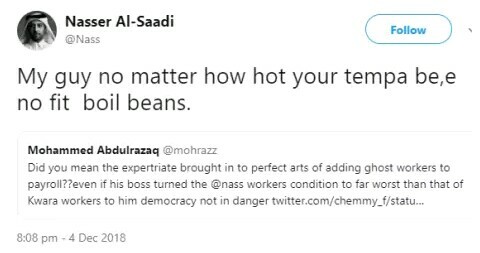 Well, it seems years of reading tweets from Nigerians has made him begin thinking and tweeting like us. 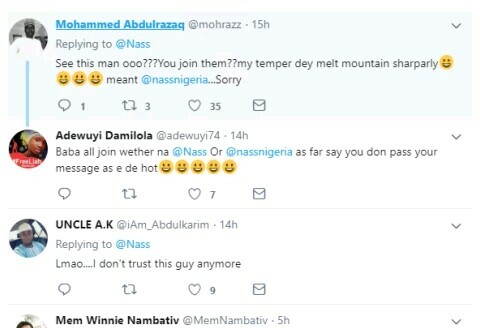 He just reacted to a tweet from one of his countrymen by writing in pidgin English and Nigerians are going crazy over it.